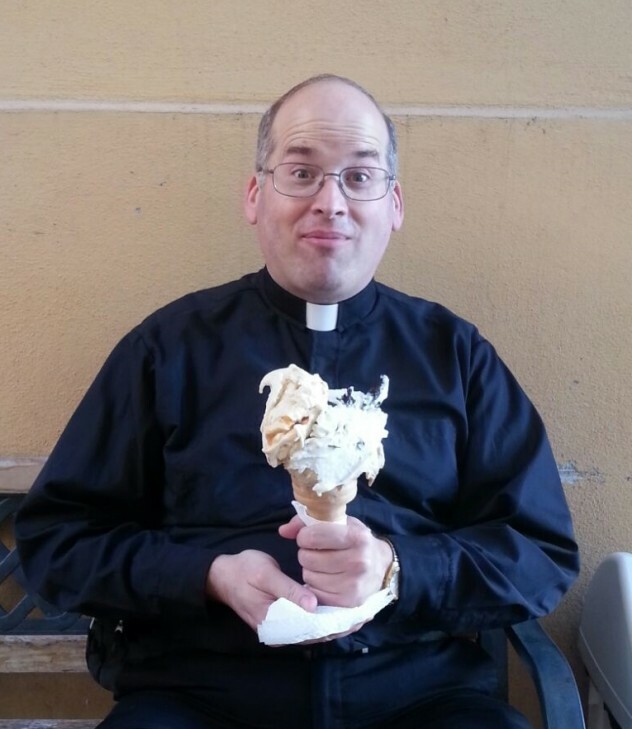 A few weeks ago one of my brother Legionary priests passing through Rome (who’d prefer to remain anonymous–not to be confused with Anonymous) treated me to a gelato, which anyone who has visited Italy knows is ice cream, but taken to another level. If you ever pass through Rome, have a gelato at Old Bridge (and if you need someone to show you where it is, I’ll be glad to help you[mental note: resist temptation to request reimbursement in gelato, and erase this mental note before posting]): they have a website and its great gelato. But I digress. It was a beautiful warm fall day where the weather had not decided to turn crisp yet, and that combination of climatological factors where the gelato starts to melt and drip as soon as you try to eat it. In that moment, looking down and seeing drops of it spattering on the ground, I had an insight in how much life at times it like a gelato: every drop spilt was a moment of fulfillment wasted, so every moment was to be lived to the utmost to savor as much as possible. That’s not a cause for regret, but for relishing every moment of life like it’s one big gelato. Before anyone takes that in a hedonistic sense and goes off like a weapon of substance-abused destruction, the point is not the gelato, but the joy and reason behind it. Even when life is not feeling like a gelato, there can be a joy behind living it. That joy come from having an attitude of gratitude and not just an attitude of simple fleeting “fat-itude” (don’t bother looking it up on Google Translate or in the dictionary). An attitude of gratitude gives thanks and gives back for blessings received; an attitude of fat-itude just enjoys a stomach full of turkey and passing out on the couch in the afternoon watching football games, and then the moment is gone. An attitude of gratitude stems from always counting your blessings, even when they don’t seem preset or forthcoming. It goes from gratitude for one gelato to gratitude for a life of blessings exchanged with family and friends, and a desire to share those blessings with others in thanksgiving so that they too can adopt an attitude of gratitude. 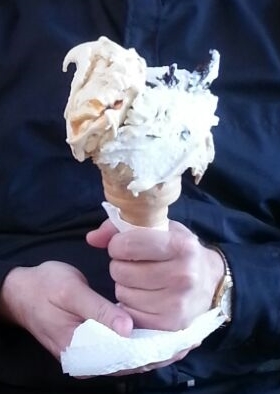 This gelato was just one stop along a lifetime of friendship lived in mutual gratitude. The Eucharist is an act of Thanksgiving. I haven’t celebrated yet today because at midday a person from an Islamic country who’ll be joining us for Mass has just recently converted to Catholicism (another cause for thanksgiving), but I’ll be remembering you all with gratitude. Happy Thanksgiving.